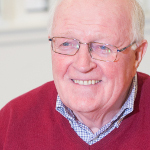 Bernard founded Bermans invoice finance team back in the early/ mid 1970’s following his law degree and qualification a solicitor in 1973 and has been a major figure in the industry ever since. He devised and still delivers the much appreciated, very popular and well attended Legal Aspects residential course for UK Finance (previously ABFA). Now a consultant with the firm, Bernard assists the team with a variety of invoice finance issues including the complex drafting of bespoke documents.